This means that there may be an issue with your Microsoft account or your Xbox profile. Before trying the solution presented here, check for service alerts at Xbox Live status, or see if there's a service alert at the top of this page. If there are any current alerts, wait a while and then try again. Go to Manage your security info and sign in to the Microsoft account associated with your Xbox profile. Carefully check all of the phone numbers, alternative email addresses and security questions and answers associated with your Microsoft account. If any of these are outdated or incorrect, make sure you update them. Note Update the incorrect security information, do not delete it. If you delete incorrect information, you’ll be locked out of your account. Make sure that you have at least two pieces of security information on your account. At least one must be a phone number or email address. For details about security information, see Microsoft account security information overview. Important Do not select Delete Profile and Items. This would delete the profile and the associated games and achievements. Enter the Microsoft account associated with your profile. If you don’t know your Microsoft account email address or password, see the Lost Account Solution or the Lost Password Solution. Note If your account is an Xbox child account, you must enter the parent's Microsoft account information to download the profile. You should now be able to sign in using your Xbox profile on the console. Important If you downloaded your profile to another console and you chose Remember Password, you have the option to remotely remove the password so that your profile can't be accessed by someone else on the other console. 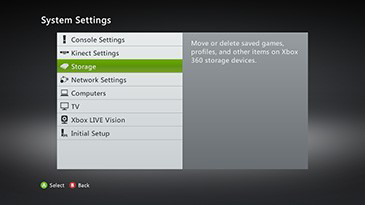 For more information, see Manage your sign-in preferences on your Xbox 360 console. Restart your console and then try to sign in to Xbox Live. Would you like to contact Support regarding the "Error 831188FE occurs when signing in to Xbox Live on Xbox 360" issue you were reading about or a different issue?